Family Dentist Chesapeake VA | Sonya Thomas-Webb, D.D.S. 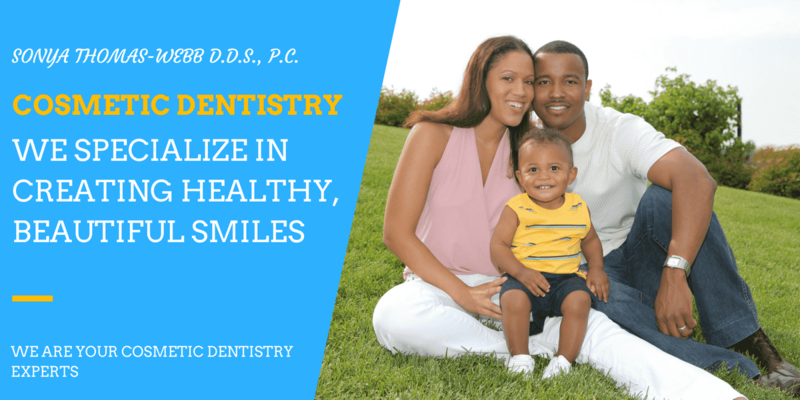 A caring dental practice in Chesapeake, Virgnia | Sonya Thomas-Webb D.D.S., P.C. We have provided quality and family-friendly dental care services to patients for over 30 years. At Sonya Thomas-Webb, D.D.S., P.C., we ensure everyone feels at ease in our office. Our team of dental experts provide professional dental services within a super-friendly environment. From handling complex adult family dentistry procedures to understanding how to help your children enjoy their pediatric exam, we'll solve your family's dental needs. ​We listen to you so we can understand what is best for you. We use the latest dental technologies to ensure our patients receive the outcome they desire. You'll receive thorough and comfortable dental care every visit. No matter what your Chesapeake dentist care needs are, our helpful team will help you feel at home with us. Contact us today to schedule your first or next appointment. We are your emergency dentist in Chesapeake, VA. In many cases, we can offer same day emergency dental care! Get directions to our location and view our hours. Take charge of your dental health with general dental care to protect against tooth decay, gum disease, and oral cancer. Our cosmetic dental care is about more than creating a white smile. It's about creating a healthier, more natural looking smile, with results that last. It's never to late to improve the health of your teeth and gums. We help patients with missing teeth, gum disease, and more. Straighten your teeth with comfort and convenience. We're a preferred provider for invisalign treatments. View results from some of our happy Invisalign patients. Want the ultimate smile? Porcelain veneers help you perfect that smile. No one will even know you have veneers. They'll only see a stunning smile. We strive to help every patient enjoy their dental visits. From helping you understand the importance of dentistry to helping you enjoy your time here, we're here to help anyway we can. Watch our videos to learn how we help patients enjoy dentistry and how happy they are with great results from Dr. Webb. If you're looking for professional dental care in a fun, relaxing environment, then give our friendly team a call to learn how we can help. Check out our music video with a dental twist to a popular hit. It's our goal to help patients look forward to visiting us and catching up. We'd like to thank our patients for the kind words they have shared with us! Thank you for helping make Webb Family Dentistry an amazing practice! We're taking steps to bring affordable and quality dental care to our patients. Now, our patients can enjoy affordable dental care with our in-house dental plan. Check it out and learn more!